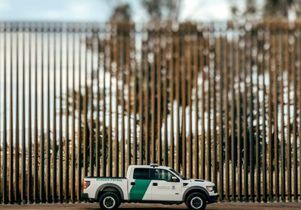 While a clear majority of U.S. citizens oppose expanding the wall on the U.S.-Mexico border, there is no consensus about how to define an effective border policy that would be widely supported. The Hammer Museum at UCLA is hosting a discussion that will examine progressive, humane visions for border control and immigration policy on Wednesday, April 17. Univision journalist and Slate columnist León Krauze will moderate with panelists Daniel Restrepo, senior fellow at the Center for American Progress and former Western hemisphere adviser to President Barack Obama, and Roberto Suro, professor of journalism at the USC Annenberg School and scholar of U.S. immigration policy. The event is free, but requires a ticket, which are available at the Hammer Museum box office one hour before the program. One ticket per person; first come, first served.